LaBCaF Learning on the go! You already know that “self-protection” is something you need to do for both you AND your family. You know that learning to be safer will build your self-confidence and help you to pass that same self-confidence AND safety to those you care about the most. But how can you fit it into your already packed schedule? 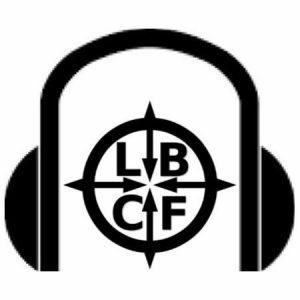 LaBCaF’s Survivors to Thrivers Podcast! Now you can listen and learn while you cook, while you wait in the doctor’s office, while you commute, or do any of a hundred other things! Overcoming challenges is the way to find success. Being able to listen and learn in short bursts (and on your own schedule) overcomes one of your greatest challenges to learning. Our podcasts are even downloadable so you don’t need to stream anything (unless you want to!). If you haven’t subscribed to our email list yet, go ahead and do it so you’ll never miss an episode. Plus, that’s also how we let you know about new things we’ll be bringing to you! Please enjoy and share these podcasts. We want to help you have a safer and more confident life. We also want to get to know you, so please leave comments and let us know who you are and what kind of things you’d like to hear about! The Survivors to Thrivers Podcast!